Let the games begin! Opening Day became the main topic of discussion on Twitter on April 2 when fans of America’s pastime freaked out over the start of Major League Baseball’s new season. Check out their best reactions to their favorite sport’s return here! Buy us some peanuts and Cracker Jacks cause baseball season is back! On April 2, baseball fans celebrated MLB Opening Day 2017, the holiest of days to worshipers of America’s pastime. 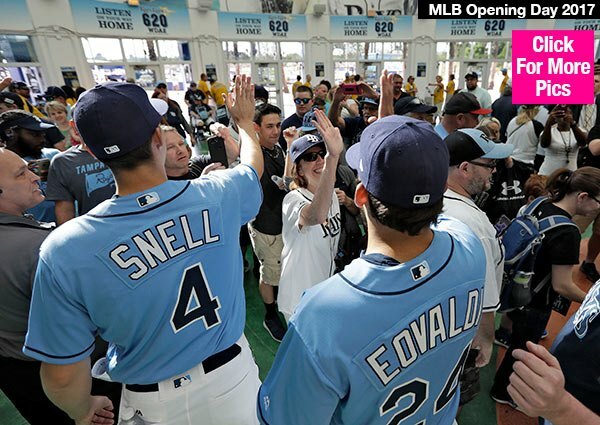 The annual event is the day in which professional baseball leagues begin their regular season and baseball fans who have been hibernating for months come out to show their pride for their favorite teams once more. Of course, what better place was there to let out all that excitement than Twitter? Fans hopped right online and began to post memes and funny tweets that showed off who was the biggest baddest baseball buff. Some posted a classic clip of Peanuts character Charlie Brown waking up to see the sun rise, only it was a giant baseball. The meme shows how baseball fans have basically been “asleep” just waiting for their sport to come back to them. Others posted clips of people dancing and crossing their fingers, already hoping for a win for their team. Some even joked about how their teams had already lost! 0 Response to "MLB Opening Day 2017: Fans Are Ecstatic That Baseball Is Back — See Hilarious Memes"